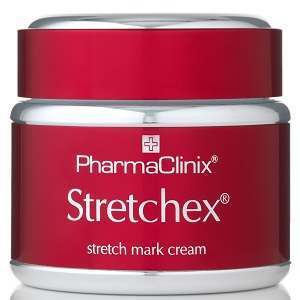 Pesky looking, purplish, reddish or whitish colored streaks which appear on your skin are called stretch marks or striae. This happens when your skin is stretched too quickly by factors like weight gain, pregnancy, growth spurts etc. A number of products and treatments have made huge claims about eliminating such marks but in reality, nothing can completely cure these marks. You can try various tricks to lighten them. For that, rejuvenation of skin is needed which, in turn, depends upon collagen production. The latter process can be accelerated by exfoliation of skin regularly. Your body sheds dead skin cells at an alarming rate and simply washing your body with the soap does not help in the removal of the dead skin cells at all. It’s important to apply an exfoliator to the wet skin, so exfoliating in the shower or a bath is the best way. There are many kinds of exfoliators: creamy, salty, and oil-based. Experiment with different methods of exfoliation until you find the one that suits you the most and stick to it. Do not use different exfoliating treatments at once because it can irritate your skin. Brushing your skin on a daily basis will improve its texture and reduce the stretch marks. You can use a natural bristle body brush for this purpose. Brush your skin when it is dry. Best time to do so is before you take a shower. Brush your skin 5 times using firm strokes, starting at the feet and moving upwards slowly. This will improve the blood flow of the skin and exuviate dead skin cells. You can also use a scrub for exfoliation. Use it in the shower on a daily basis. Prefer a scrub that has granules or beads in it. When you will rub this scrub on the skin, it will feel coarse. Exfoliate you skin in the area of stretchmarks in a gentle and circular motion. Wash off any excess scrub from your body. Another simple method is to use a loofah when you take a shower. Using the loofah with shower gel or a soap, gently scrub your skin. Pat your skin dry and moisturize it with a good moisturizer. This will not only lighten your stretch marks but also give your skin a nice glow. Use a cream which contains Retin-A, such as tretinoin cream. Retin-A is a chemically active exfoliator. 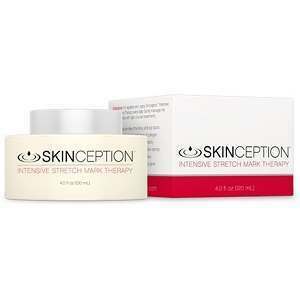 It accelerates turnover rate of your skin thus speeding up the collagen production. Increased collagen level in the skin makes it appear tighter and strong. A more aggressive way is to get microdermabrasion treatment. This treatment is available at either a dermatologist’s office or a spa. This procedure involves spraying of ground crystals on your skin under pressure of pressurized air. The pressure aids powdered crystals to scrub away dead skin flakes in its top-most layer. The newer skin which replaces the old skin is way more elastic and healthy and it makes your stretchmarks seem lighter and smaller.